OVIEDO — Retirees Neil and Marilyn Strawbridge haven't made a mortgage payment so far this year, and yet Bank of America has not sent them even a foreclosure notice. With foreclosures taking an average of 21 months to get through the court system in Florida — longer than in almost any other state — the couple could presumably continue forgoing payments and still stay for years in the three-bedroom, waterfront home with pool that they bought a quarter century ago. "I no longer have any problem not making payments," said 72-year-old Neil Strawbridge, who had never missed making at least partial payments until last December, when Bank of America rejected his request to permanently lower his monthly payment. His lawyer, Justin Clark, has advised the couple to try protecting their credit by selling the house before the bank files for foreclosure and seizes it. But Neil Strawbridge, who was diagnosed with Parkinson's disease in 1995, said he could see himself and his wife simply staying put until the day comes when they are forced to leave. 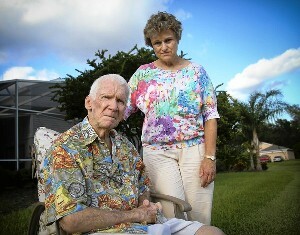 Neil and Marilyn Strawbridge have not received a foreclosure notice on their Oviedo home despite not making payments. complete, according to Lender Processing Services. In states where foreclosures aren't routinely handled by the courts, a foreclosure takes an average of 550 days to process, from default notice to repossession, the research firm reported recently. Pressured by the Florida Bankers Association, state lawmakers are now grappling with the lingering court process. Legislators are considering proposals that would divert noncontested foreclosures from the courts, allowing banks to handle them in much the same way they repossess cars. If such a measure became law, it would likely affect houses entering foreclosure after June 2012. State Sen. David Simmons, R-Altamonte Springs, said that, while the foreclosure process needs to be expedited, Florida homeowners shouldn't lose their day in court — if they want it. 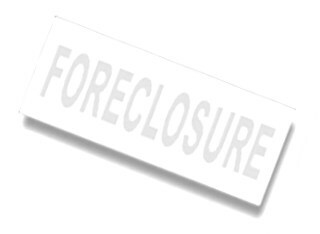 "A nonjudicial foreclosure remedy doesn't solve an immediate problem for us. … We need to focus on courts cleaning out the backlog sooner," said Simmons, a member of the Senate Judiciary Committee. The immediate problem, as Simmons said, includes not only the 22,000 Floridians who received a foreclosure-related legal filing in July alone, according to the research company RealtyTrac Inc. It also includes homeowners like the Strawbridges who haven't received a foreclosure notice but who have been sitting tight without making payments for months and months. "I've talked to some judges who believe foreclosures are not being filed because banks don't want to pay association fees — they don't want the property yet because they can't liquidate it fast enough," he said. "We don't want to be too quick to condemn the judicial system. The delays are, in fact, partially due to lenders not wanting to have the property on their real-estate rolls." No one tracks the number of homeowners who have stopped paying their mortgages but are able to continue living in their houses without drawing a foreclosure notice from their lender. But one of the main reasons the foreclosure process has slowed in Florida and elsewhere is because banks temporarily stopped adding cases to the court system about a year ago and pulled many others from the system when it became apparent that documents in some cases had been lost or illegally signed. Banks have also been criticized for agreeing to short-term, trial mortgage modifications for customers, only to later refuse to grant any kind of long-term solution for the strapped homeowners, many of whom are living in houses now worth half what they paid for them just a few years ago. With foreclosures taking almost a half-year longer in Florida than in states that don't require a court process, the Sunshine State has fallen behind California in recovering from the nationwide housing slump in part because the West Coast state doesn't funnel foreclosures through its courtrooms, said Mark Fleming, chief economist for CoreLogic Inc., a California-based analytical company. "Ripping the Band-Aid off quickly helps house prices stabilize and rebound better than ripping it off slowly," said Fleming, though he added that a longer foreclosure process might give local markets more time to recover and a better chance of absorbing houses that revert to bank ownership. In Oviedo's Twin Rivers community, the grass surrounding the Strawbridges' home is thick and green. A small sign shows it was fertilized by a lawn-treatment company. Even though they aren't making loan payments, the couple still try to maintain the house. They started having trouble making their $2,298 mortgage payments, the result of a refinanced loan, when Neil Strawbridge retired two years ago from his job managing a coffee service. Their income further eroded when Marilyn, 61, cut her hours as a nursing aid about a year ago to get her degree as nurse practitioner from Seminole State College. They handled the $1,194 payments that Bank of America agreed to as part of a four-month trial, but the giant lender refused to extend the offer. The couple like the suburban feel of the Oviedo/Winter Springs area and say that, if and when they lose their home, they will likely move into a smaller, modular house nearby, which will cost them about $40,000 of their cash savings. Sitting on his pool lanai, Neil Strawbridge said he and his wife grew tired of wrangling with the bank over the loan modification. "We decided we just couldn't do this anymore," he said. Clark, the Strawbridge's lawyer, says the majority of the clients he sees in the couple's situation have not made a mortgage payment in 18 months. "Most people come in after at least a year of trying to deal with the bank," he said, at which point "they're either homicidal or suicidal." Clark said he's not convinced the foreclosure process would speed up if the Legislature diverts mortgage-default cases from state courts. And until the state changes the process, he added, homeowners must time their exit strategy so that they save some of the money they would have been putting toward mortgage payments without getting dinged by a foreclosure on their credit report, which can haunt a consumer's credit history for as much as seven years. Clark advises such homeowners to try selling their houses as short sales — for less money than the mortgage balance — which ultimately requires their lender's cooperation. The Strawbridges, for instance, owe about $200,000 on their home and think it could possibly sell now for about $120,000. The short-sale process in Florida is faster than the foreclosure process, taking about 410 days on average to close from the time a property's lender files the first foreclosure notice, according to RealtyTrac. Even at that pace, the Strawbridges could stay in their home without making payments for another year or more. But first they have to get a foreclosure notice.